Herts Baseball Club is dependent on the support of its members, sponsors, partners and fans. It is only with their encouragement that we are able to continue to build the best baseball programme in the UK. Expansion of the Herts Little League, offering a unique and positive experience for Hertfordshire youngsters. – We are committed to providing a safe and supportive environment for kids to learn the game of baseball and develop their skills and team spirit. Creation of team dugouts on both diamonds. – Team dugouts are a key feature of baseball venues. They provide a secure area for home and visiting teams to plan and execute their game plan. It provides seating for players, coaches and other team officials, as well as protection from rain and sun. Enclosure of the two baseball fields along the dead-ball line. – The club has already managed to install the backstop and outfield fence on both baseball diamonds and the next stage is to add fencing along the dead-ball line. This will lead to health and safety improvements for players and fans/parents, creating a more secure playing area for youth teams in particular. It will also reduce stoppage in the action due to ball rolling out of play. These projects are aimed specifically at improving the community and helping the youth in Hertfordshire achieve greatness… both on and off the field. Please help us to achieve these important goals. Donate now! No contribution is too small. 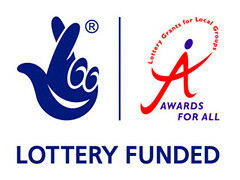 (June 2008): Awards For All – Herts Baseball Club is grateful and honoured to be the beneficiaries of a generous £10,000 national grant from Awards For All. The funds were used to construct a permanent outfield fence for both diamonds at Grovehill Ballpark. (September 2009): Sport England / BSUK – Herts Baseball Club was successful in applying for Equipment and Facilities Grants awarded by Sport England and administered by BaseballSoftballUK. The grant funds helped to level the second baseball diamond at Grovehill Ballpark. 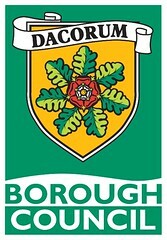 (July 2009) Dacorum Olympic & Paralimpic Fund. The £5,000 grant received played a key role in funding the creation of the second baseball diamond at Grovehill Ballpark enabling the club to accommodate the rising number of youth and adult members joining Herts Baseball. 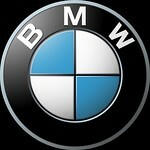 (January 2008): Scotthall Watford BMW has joined our All-Star Sponsor platoon as a significant contributor to the HBC Development Fund and our 2008-09 Field Development Project. (February 2010): Hertfordshire Community Trust awarded Herts Baseball Club at £500 grant to fund Level 1 Baseball Coach Award training for eight club coaches. 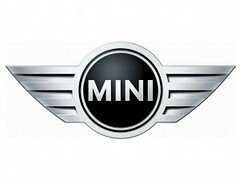 (March 2008): Scotthall Watford MINI made a generous contribution to our youth programme, and are now the official sponsor of Herts Little League. (December 2008): Kodit Ltd. provided funds to aid the Herts adult programme in its 2008-09 indoor winter training. 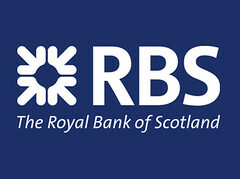 (March 2008 / November 2007/January 2011): Royal Bank of Scotland (RBS) made a generous contribution to Herts Baseball as part of RBS’ Community Cashback Awards Programme on the basis of the contribution from our member, Tim Elkins. (May 2008): Beer & Food Festival Sponsors – Several businesses contributed generously to this special fundraising event. Tesco (Hemel Hempstead), Asda (Hemel Hempstead), Waitrose (Berkhamsted), and Altered Image hair salon (Berkhamsted) all provided exciting raffle prizes for the festival attendees.